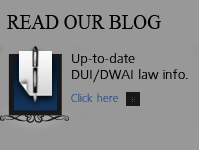 Colorado DUI -DWAI Field SobrietyTests – The start of most Colorado DUI – DWAI investigations begins with a traffic stop followed by field sobriety and then, of course the chemical test. 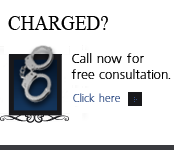 A close analysis of the arresting officers actions – making certain he or she followed the proper legal and rule based procedures in reading you your rights and in administering field sobriety tests and chemical tests is critical at this stage. Any mistakes – any flaws in the investigation -can lead to suppression of evidence or reasonable doubt about your guilt at the trial. This analysis focuses on the Colorado Field Sobriety Tests – your lawyer should scrupulously review them in accessing your case facts – leads to the planning for the best strategy for your defense. What Was The Stop location Like? Where does officer begin to follow client? Any lights flashing: Y / N Where? What direction is suspect placed in relation to flashing lights or lights on the scene? “While you are walking, keep your arms at your sides, watch your feet at all times, and count your steps out loud. Once you start walking, don’t stop until you have completed the test. Do you understand the instructions? Officer should acknowledge understanding by subject. “Go ahead and perform the test. (Officer should always time the 30 seconds and observe the subject from a safe distance). If the subject places a foot down, the officer should give instructions to Pick the foot up again and continue counting from the point at which the foot touched the ground. Test terminated at 30 seconds. IV. Colorado Field Sobriety Tests – Other Non-standard Field Evaluations Performed? Colorado Express Consent Advisement read properly? __Why did the officer pulled the car over? __ Did the officer say why he or she stopped the suspect? __ Were the suspect cited for any traffic violations? __ Did the officer saw the suspect leave a bar parking lot? __ Where did the suspect stop? Why did the suspect choose that location? __ Did the suspect tell the officer that the suspect had something to drink? __ How did the officer phrase his request to get out of the suspect car? __ Did the suspect have any difficulty getting out of the suspect car? __ Did the officer ever tell the suspect that were free to leave? __ Did he or she say or do anything the suspect believes was inappropriate? __ Did the suspect car have any passengers? __ Did the officer tell the suspect the field tests were mandatory or threaten the suspect in any way? __ Did he or she ask the suspect ask the suspect about the suspect health or any disabilities? __ Which tests did the suspect perform? __ Where did the suspect perform them? __ Was the suspect r car searched, and if so, was anything found? __ At what stage did the officer say the suspect were under arrest? __ Were the suspect handcuffed? __ Was the suspect read the suspect the Miranda rights? __ Did the suspect waive the right, or remain silent? __ Did the suspect ask for an attorney? __ Were the suspect dieting when arrested? __ How much had the suspect slept in the prior two days? __ Had the suspect taken any medicine recently? __ Do the suspect have any physical disabilities? __ Do the suspect have any inner-ear or balance problems? __ Have the suspect ever suffered a head injury? __ Do the suspect have GERD, frequent heartburn, or COPD? __ Do the suspect have diabetes, or any blood or liver disease? __ Do the suspect have any mental health issues? __ Did the suspect burp or regurgitate during the observation period? __ How many breath samples did the suspect provide? __ Did the suspect have any trouble providing a sample? __ Did the operator interrupt the suspect’s breathing pattern at any time? __ Did the operator require the suspect to hold the suspect their breath for any length of time before blowing? __ Were the suspect tested on more than one machine? __ Do the suspect know any of their names? __ Did the suspect post bond? __ Do the suspect have a prior criminal history, including prior drunk driving arrests? Was the officer aware of that? If you have questions about Colorado DUI -DWAI Field Sobriety Tests in the Denver metropolitan area and throughout Colorado, attorney H. Michael Steinberg will be pleased to answer those questions and to provides quality legal representation to those charged in Colorado adult and juvenile criminal matters. 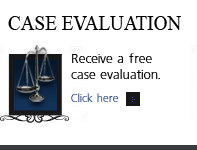 In the Denver metropolitan area and throughout Colorado, attorney H. Michael Steinberg provides quality legal representation to those charged in Colorado adult and juvenile criminal matters in regards to Colorado DUI -DWAI Field SobrietyTests.